In a book that radically and fundamentally revises the way we think about war, Miriam Cooke charts the emerging tradition of women's contributions to what she calls the "War Story," a genre formerly reserved for men. Concentrating on the contemporary literature of the Arab world, Cooke looks at how alternatives to the master narrative challenge the authority of experience and the permission to write. 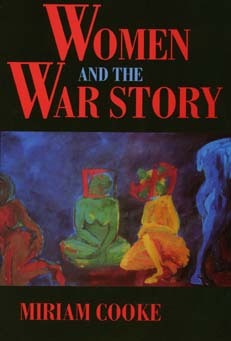 She shows how women who write themselves and their experiences into the War Story undo the masculine contract with violence, sexuality, and glory. There is no single War Story, Cooke concludes; the standard narrative—and with it the way we think about and conduct war—can be changed. As the traditional time, space, organization, and representation of war have shifted, so have ways of describing it. As drug wars, civil wars, gang wars, and ideological wars have moved into neighborhoods and homes, the line between combat zones and safe zones has blurred. Cooke shows how women's stories contest the acceptance of a dyadically structured world and break down the easy oppositions—home vs. front, civilian vs. combatant, war vs. peace, victory vs. defeat—that have framed, and ultimately promoted, war. Miriam Cooke is Professor of Arabic at Duke University. She is the author of War's Other Voices: Women Writers on the Lebanese Civil War (1988) and coeditor of Gendering War Talk (1993) and Opening the Gates: A Century of Arab Feminist Writing (1990).